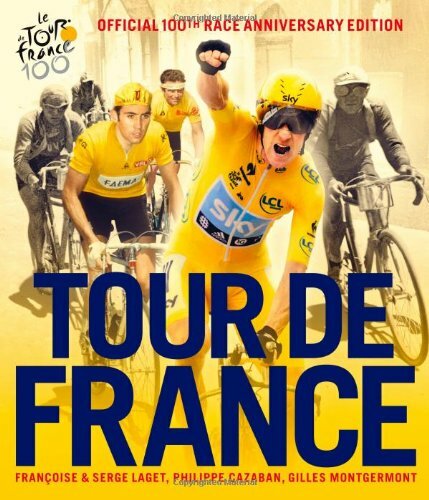 Writing anything factual about the history of the Tour De France is an experience which fills me with dread. Every time I think I understand a period of the Tour’s history, I’ll read another book converse with another enthusiast or make my way through another infinitely more qualified blog than mine only to be reminded that I actually know very, very little. It appears that enthusiasts are capable of arguing every minutiae of detail with all the passion and determination they can muster. The purpose of this blog post is not to offer exhaustive detail but rather to be a friend to the regular urban cyclist searching for just enough readable information to at least pretend we know what we are talking about when we talk of the Tour De France. I’m offering you hooks to hang your coats on that’s all, but in truth that’s all most of us need if we are to really enjoy this incredible spectacle. Don't let the detail get in the way! Here's a scenario I'm sure some of us know only too well. Your standing at the works water fountain and a fellow cyclist approaches. She’s over heard you mentioning that you might be heading to Yorkshire to see the first two days of the tour; suddenly you are dragged into conversation about every intricacy of the Tour. Names, dates and places are being thrown in your direction like bullets from an AK47. You stand nodding politely and desperately hoping someone somewhere will burn their toast, set the fire alarm off and provide you with an excuse to exit. Fear not! This series of blog posts will help you locate those bullets in the framework to which they belong; in the case of today’s post that is the origins and history of the Tour De France. In 1903 the Wright brothers were launching the possibility of flight, Marie Curie was recognised by the Nobel Prize committee for her work on radioactivity and a small French sports paper known as L’Auto - Velo was struggling with a dwindling readership and thus questions as to it’s commercially viability. Journalist Géo Lefèvre, and editor Henri Desgrange (a prominent track cyclist and owner of Velodrome at Parc des Princes) then hatched the plan for a publicity stunt like no other. A six stage 1,500 miles cycle race around France. The inevitable stories and incredible images contained in such a race would contain could surely bring the readers flooding back. It appears that cycling’s ability to support the running of a good business has a long history. The first race in 1903 race was dominated by one participant Maurice Garin who won with a lead time over his nearest rival of 2 hours and 49 minutes. From its inception the Tour stood apart from all other cycling races. What the Tour De France demanded from its riders most of whom were part time butchers, chimney sweeps, carpenters, brick layers and craftsmen, had never before been evidenced on this scale, nor in this form. Not only were the bikes in 1903 unimaginably less advanced and the roads often little more than an earth track but the stages, while fewer (only five in the first race) were in many ways more demanding than today’s routes. Today each individual stage rarely exceed 150 miles. Back in 1903 many stages were between 250 to 300 miles running all day and deep into the night (many stages started either late in the evening or in the very early hours of the day). Today’s race is often cited for it’s notorious climbs and even more notorious climbers. The first three years of the Tour involved no such climbs, distance was what mattered most. This changed in 1905 when serious climbs were introduced by organisers hoping to increase the challenge and eliminate any cheating. In 1906 Rene Pottier became the Tour’s first great hill climber. Not only was Rene one of only 14 finishers out of a starting 76 to complete the race, not only did he cross the finishing line of every climb hours ahead of his nearest rival but so iconic were his achievements that Cote de Laffrey and Col Bayard are still referred to as amongst the greatest of all Tour achievements. By 1907 the tour had developed significantly to include 14 stages many of which were beginning to recognise the importance of the climb as central to the race's development and prestige. In 1910 the hill stages entered into the Pyrenees and then the Alps in 1911. In 1919 the Tour re-emerged following the tragedies of WW1 in which many of its former riders had paid the ultimate price. The Yellow Jersey was introduced as means of lifting post war spirits and displaying a new Tour optimism. Cycling could help France, Europe and the world to build towards a better more hope filled future. Throughout the 20’s and 30’s the popularity of the Tour grew providing the economic mainstay for the retitled L’Auto whose owners had by that stage committed vast resources to the development of the race. However the late 20’s and 30’s also marked a period in which advertising of any form was banned and competitors were forced to ride identical, unbranded yellow bikes. Desgrange was convinced that the influence of cycle manufacturers was becoming excessive and prohibitive to a good and fair race. The Tour, its costs and its rewards, then passed between the private ownership of varying newspapers/media agencies and the state. It now resides in the ownership of the Amuary Group. As a commercial venture the Tour has long been fueled by both a love of the sport and a clear commercial opportunity. This was true for both Tour organisers and Tour participants. Stage winners now receive up to 30,000 euros while the overall winner receives up to 45,000 euros not to mention the vast sums of money accrued through sponsorship. For most of its competitors money is not however the source of their pride such pride derives only from the winning of stages and the subsequent wearing of the Yellow jersey (more of that later). By the 1930‘s the Tour had grown not only in the number of competitors and the length of the race but also in it’s technicality. In 1930 Tour organisers moved away from individual and regional teams sponsored by bicycle manufacturers towards the introduction of national teams. 1934 saw the first time trial introduced to the race between La Roche-sur-Yon and Nantes. Such an increase in technicality, numbers of competitors and race stages required a significant increase in support both commercial and technical but also actual physical support known, provision of mechanics, food, rest, press etc. Such support travelling along with the Tour riders is known as the ‘caravan’. While the early years of the Tour were dominated by the French and the Belgian the late 40’s saw the rise of the Italians and the Swiss and their shared relentless pursuit of the mountain stages. 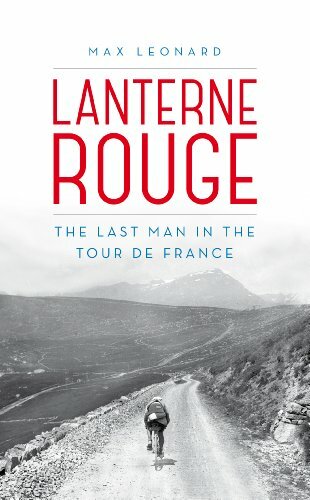 The late 1940’s also witnessed the first televising of the Tour’s final stage from the Parc De Princes a celebration of victories won not on the flat streets of Paris but in the epic mountain stages of the Alps and the Pyrenees in which such significant leads could be won as to render the last couple of days free for riders to enjoy the welcome awaiting them in Paris. Remembering your plans to visit the beginning of the Tour in our own beloved Yorkshire it might be worth noting that it was the race organisers of 1958 who first saw a genius commercial opportunity to begi the Tour in a neighboring country. Thus in 1958 the Tour began not in France but in neighboring Brussels a development which was soon to include countries such as Andorra, Belgium, Germany, Ireland, Italy, Luxembourg, Monaco, Netherlands, Spain and Switzerland all hosting their own piece of the Tour De France. By 1960 Desgranges' banning of teams organised and sponsored by bicycle manufacturers was recognised by many to be having a hugely detrimental impact on the wider popularity of recreational cycling. Cycling was once again killing itself. And so in 1962 the Tour returned to trade teams and the dominance of manufacturer branding. It quickly came to light that Desgrange’s caution was not without merit. The same period marked a sharp rise in doping scandals requiring the introduction of dope testing a move firmly resisted by the trade teams and their organising bodies. The late 60’s and early 70’s belonged to Mercx an astonishing Belgium rider whose times left fans of the Tour in absolute awe, nicknaming Mercx the Cannibal and adjusting the entire mind set of Tour enthusiasts as to what the modern cyclist might be capable of achieving. In 1975 the final stage of the race moved to the now infamous Champs Elysees providing an incredible opportunity for what had now become a truly global spectacle to root its self once more in the incredible history of its founding country. To this day the Champs Elysees provides tens of thousands of spectators the opportunity to watch at close quarters as the champions of the Tour receive their crowning glory. In the next post of this series we will re-engage the history of the Tour from 1980 to the current day; a period of cycling's history marked by significant developments and incredible achievements as well as being a time in which the Tour, its competitors, its fans and its organisers were to stare into the longest darkest hours of the races history.